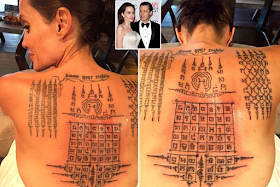 Angelina Jolie who loves the intricate body art of tattooing, having amassed over 15 tattoos since she was a teenager, now has never-before-seen images of her back tattoo all over the internet. 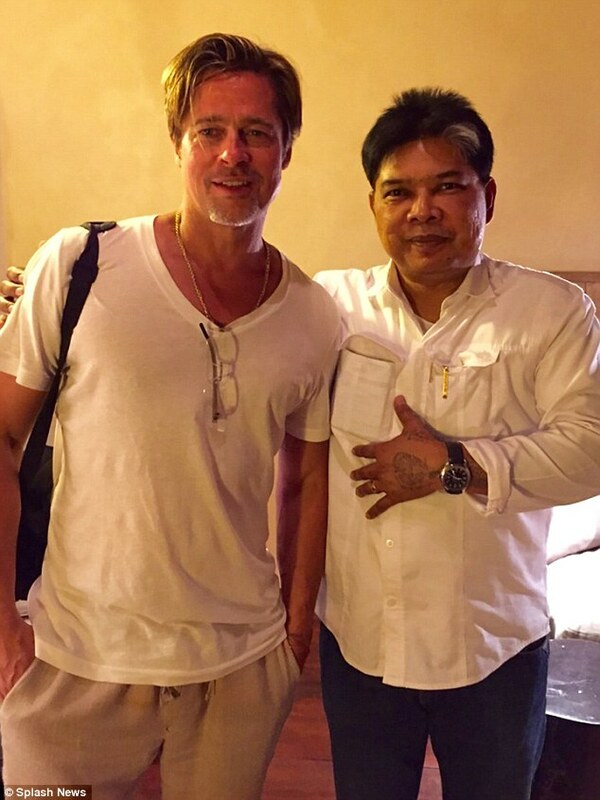 The photos how Brad Pete's estranged wife, being tattooed by former Thai monk, Ajarn Noo Kanpai alongside her estranged husband Brad Pitt in Siem Reap in Cambodia. 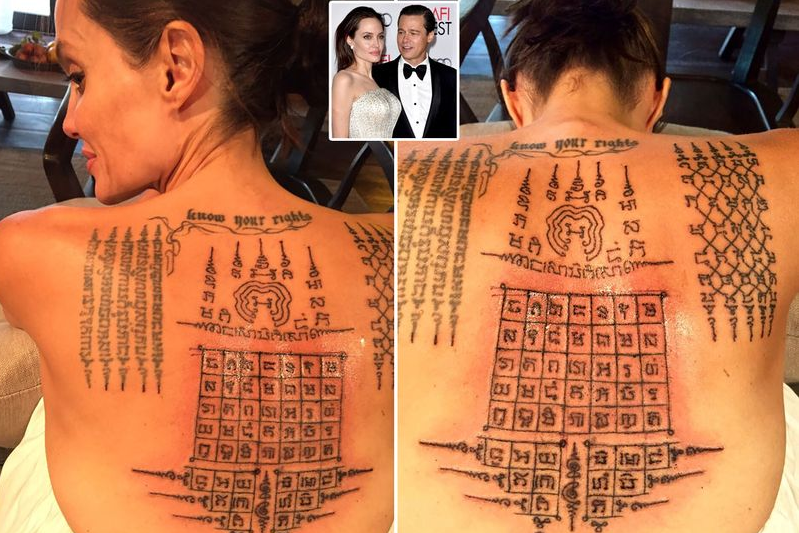 Jolie had flown the monk turned tattoo artist from Bangkok to Cambodia in February 2016, so he could work on the tattoo that had symbolic meanings for her and Brad. 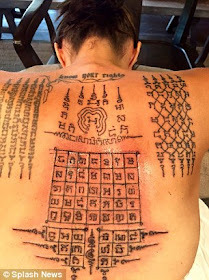 She got three new mystical sak yant back inkings from the Thai artist, a style which encompasses lines of script, geometric patterns and animal shapes. Using ancient handheld method, the artist used steel rods mounted with a surgical steel needle - which is supposed to be more painful but more accurate than a tattoo gun - to apply the tattoos to the skin. Brad Pete also got tattooed by the monk, who tattooed the left side of his stomach with a Buddhist symbol. Ironically, the tattoos they both got was supposed 'to symbolically bind them together as husband and wife', forever, unfortunately, their marriage ended September of the same year they got the tattoos. 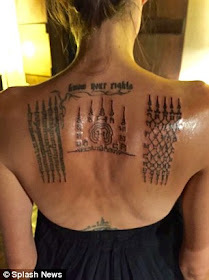 Along with the symbolic binding, the new tattoos also included two ancient Thai Buddhist symbols and mantras, which are thought to help provide protection. Former monk Ajarn is reportedly based in a temple near Bangkok and his designs are said to protect whoever has them.